Hey Cable Chick, I am writing to let you guys know I am one happy customer as the quality & service was very satisfactory with a great product & I will not hesitate to order again as the transaction was very easy & swift, so thank you very much. 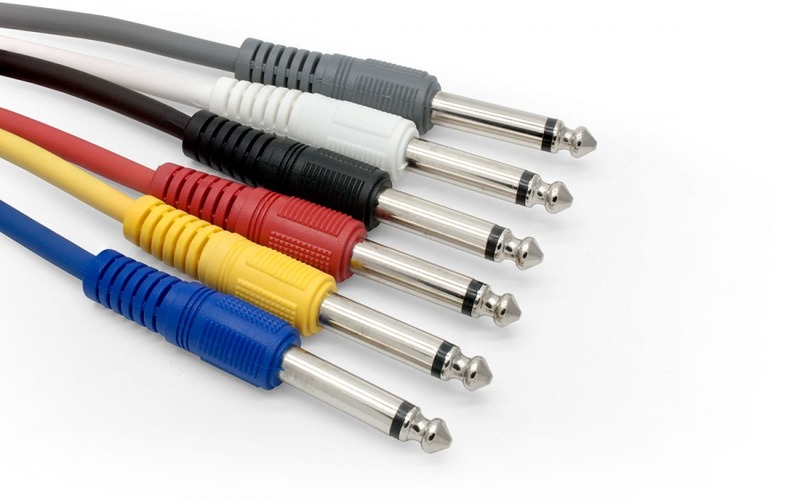 Never be without a 1/4" Patch cable at your next performance with this handy 6-pack of leads! A pack of 6 patch cables for all your basic patch cable related shenanigans. There always seems to be that one person that's one patch cable short of a performance if you know what I mean. Don't let that one person be you! Each pack of patch cables contains six of your most favourite coloured patch cables including White, Black, Blue, Red, Yellow and of course who could forget... Grey! These 30cm leads with straight connectors (right-angle connectors also available) are perfect for a basic pedal setup or to have with you just in case of those patch related emergencies. We've all been there right? Answer: "Absolutely. This can extend any headphone socket, whether its on the back of a TV, or in a computer or laptop or media player, etc. All 3.5mm stereo sockets are wired the same way, so our extension cable is suitable for use with all devices featuring a headphone or AUX output." I am really happy with the service provided by Cable Chick. Very prompt and in great condition. I will have no problems recommending your company to anyone.